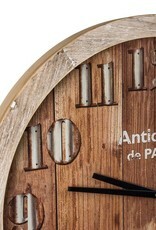 A large wooden wall clock with a faux wooden panel face and mock rusted metal numbers. 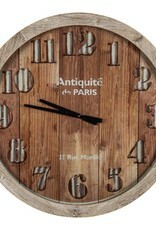 It’s sure to become a focal point on any wall. 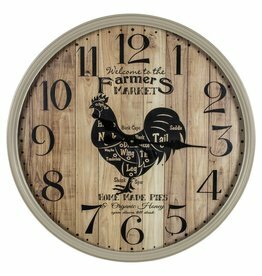 Browse Our Home & Gift Collection. 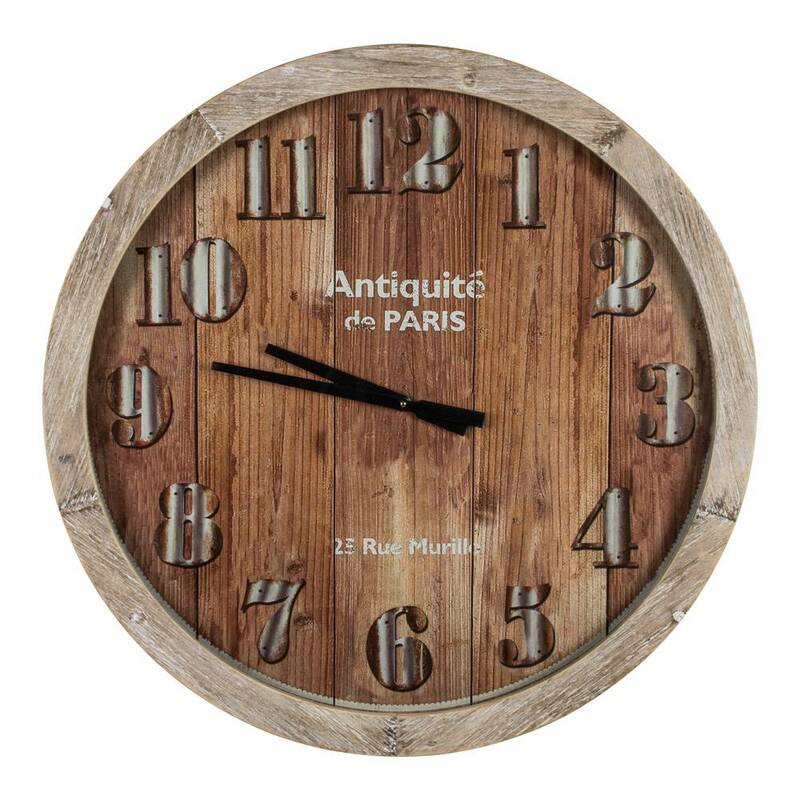 London 1879 vintage large wall clock. 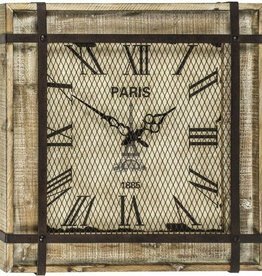 Contemporary black and white colouring with roman numerals. Metal mesh and banding on the front on a wooden base. 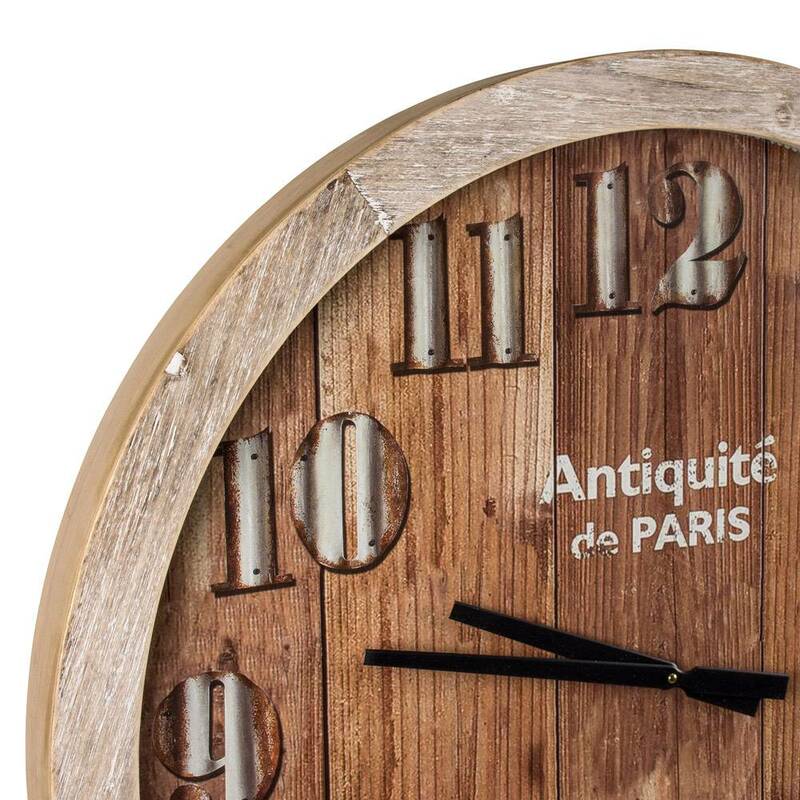 A large beige metal clock with a faux wooden panel.